To show our appreciation we held our inaugural Volunteer Appreciation Night at Tracadie Cross Community Centre last Saturday evening. Although many were unable to attend, everyone who was there seemed to enjoy the evening. Our Chair Mary J. Gallant gave everyone on overview of what’s been happening on the Estate this past year, and we all enjoyed some cake and tea. The Trust was delighted to be able to distribute a unique thank you to this first crew of volunteers, being a very limited edition engraved coaster—made from branches of the recently taken down elm tree—along with a glass featuring a sketch of the house prepared for us by Donna Kauffmann. Well how time flies! It’s hard to believe that one year ago today we officially celebrated our purchase of the magnificent Glenaladale Estate! In honour of the occasion we are pleased to finally be able to acknowledge, in a small way for now, all those who have supported us this past year, and especially those who had faith we could do it! Our sincere thanks to everyone who believes in and supports the regeneration of Glenaladale! To start this exciting year in Glenaladale’s future we reflect on all that was accomplished in 2018. We hope you’ll be as impressed as we are with what a small group of dedicated volunteers can accomplish with the help of funders and donors who share the same vision! In early March we obtained title to the magnificent Glenaladale Estate, with the funding assistance of Canadian Heritage’s Cultural Spaces program and a mortgage from the provincial government. All Islanders and friends of heritage and environmental preservation can be proud of the Trust’s accomplishments in preserving this 529¾ acre national treasure. An immediate challenge was to get a handle on the contents of the house. We were very pleased to have had two exceptional students with us this summer; a shout out to Lianne Poole and Aiden Campbell who handled the task with an amazing level of enthusiasm! Assisted by local volunteers, they managed to catalogue most of the incredibly broad range of artifacts, covering a 100 year span of life in this wonderful home. We were happy to host groups of students to the property: in co-operation with the Winter River-Tracadie Bay Watershed Association a few groups of elementary and junior high students participated in planting trees and cleaning the shoreline of the property. We also hosted Ms Pendergast’s Morell High history class and look forward to more schools having a field trip at Glenaladale as time goes on. We decided early on to open the house on an “as is” basis for tours on Sunday afternoons throughout the summer. Our dedicated team of volunteers did a terrific job telling the stories and educating visitors about the history of the property and the treasure that is the house itself. Members of the MacKinnon family graciously shared their memories of life at Glenaladale, helping us to build on these stories as time goes on! We also installed a new gate and held two Git ’er Done Days, managing to clear out the outbuildings and prep the school for the move to its new site this spring. We also brought the verandah back to life with a fresh coat of paint. We are very grateful to the community volunteers―too many to name―and students of the Holland College Heritage Carpentry Retrofit program who made these events both successful and fun. In October we received a Governors’ Award from the National Trust for Canada for our “impressive accomplishments to date in securing an exciting future for the historic Glenaladale Estate in Prince Edward Island.” This was in addition to earlier winning our division in their This Place Matters competition. Glenaladale has many layers to its history and its landscape, something the Office of the Provincial Archaeologist understands quite well. Their team put in many hours determining the locations of the early home-sites, with such positive results that we look forward to a larger public dig to begin next year! Our inaugural Spirits of Glenaladale event, held in late October, was a big hit! Along with our ceilidhs this summer, we’re gaining a reputation for creating events that speak to the authenticity of PEI’s culture. Holland College students officially put their stamp on things on November 16th, with the removal of the 3rd floor east window, to be restored at the College’s workshop in Charlottetown. And with the assistance of the provincial government’s Rural and Regional Development we have just finished critical repairs to the roof and brickwork. A huge relief to have that done! Now that winter has set in, we are focussed on background tasks and look forward to big things happening at Glenaladale come spring! People say our plans are big―and they are! But people also say “Won’t it be wonderful!” Together we can do it: ensure Glenaladale is preserved, its stories are told, and Captain John’s and Sir William C’s dreams of community and of agricultural and rural development are finally achieved! We are confident in the long-term sustainability of Glenaladale, but still need your help to get us to that point. Our various fundraising efforts have generated over $200,000 to date, but with a substantial mortgage and significant costs for the regeneration, we need to double that amount. Please click here for an overview of some of the various ways you can support our work, or get in touch by emailing glenaladalepei@gmail.com. Donations of any size are gratefully accepted and will be rewarded with on-site recognition. To those who have already committed your support, thank you! A GRAND day at Glenaladale! This past Saturday we held our first “Git ‘er Done Day” and made great progress by clearing out one of the outbuildings and touching up the front verandah of the house. Check out the photos and we think you’ll agree this was great progress! Stay tuned for the next chance to help out! This is how we got it done! A great find under a lot of yuk! We want to take this opportunity to thank the MacDonald Family–Carl, Catherine, Mary Carla, and Matthew for donating all the proceeds from the sales of the book Helen MacDonald of Glenaladale–Miss Nelly, written by the late Genevieve Irene MacDonald, to the Glenaladale Heritage Trust. 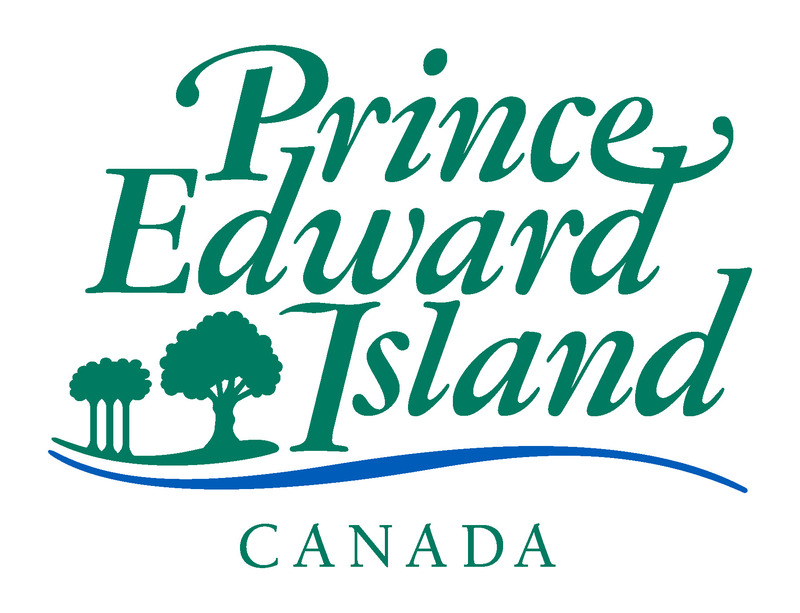 We also wish to thank the PEI Scottish Settlers Historical Society for printing the book, the provincial Dept of Education, Early Learning and Culture for financial assistance from Community Cultural Partnership Program, and the Hillsborough River Association for hosting the book launch. Last Thursday evening we had a great turnout for the launch and appreciate everyone who came to show their support and purchased a copy of this story about an amazing young women of the late 1700’s who stepped up to the many new challenges life brought her way. Books can be purchased online via the link at the bottom of this page, at the Glenaladale Estate, in Charlottetown at McAskill Woodworking Limited [26 Beasley Ave] and The Bookmark [172 Queen St], or send us an email at glenaladalepei@gmail.com. The book sells for $10.00 plus shipping. Please join us this Wednesday evening 7 pm. at the Tracadie Community Centre for the Launch of the Miss Nelly Book. Next week August 16th Jackpot. I love this Highland Cow with her fancy dancing shoes–thank you Lynn Gaudet of Where Pigs Fly for designing and painting this for us. Next weeks Jackpot–make sure you get your tickets. Can’t win if you don’t play! The Chase the Highland Cow draw for August 9th. Angela McDonell drew the red ticket #3369927 belonging to Janet Jones. Angela cut the deck on behalf of Janet Jones and cut the four of Clubs. Janet will receive $239.00. Congratulation Janet! Next weeks Jackpot will be $2358.50. Remember to get your ticket for next week!